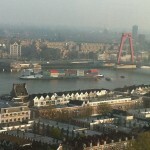 The 135 meter long container / self-propelled barge Sensation allided with the Willems Bridge on the New Maas River at Rotterdam, Netherlands. 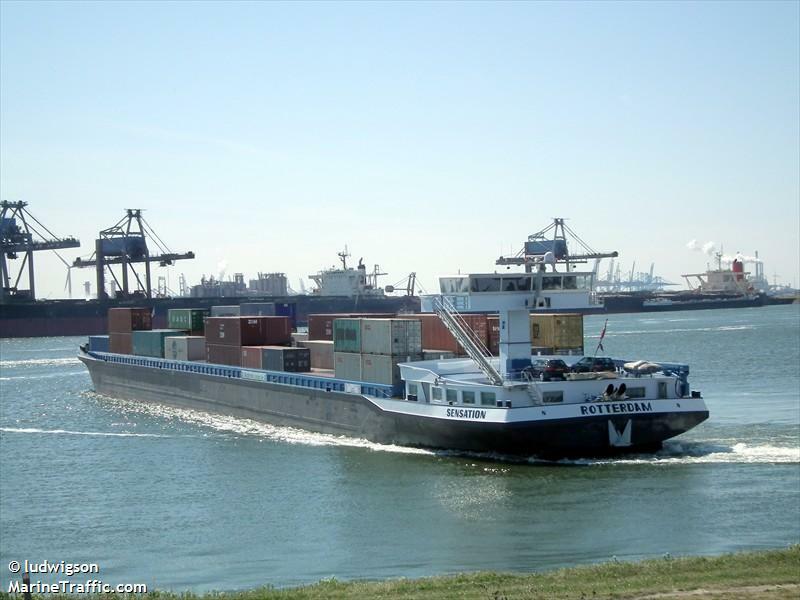 The vessel attempted to pass under the bridge, but the empty containers contacted the bridge, broke free and fell overboard. 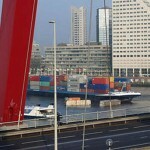 Several containers were towed to a nearby quay while others sank. 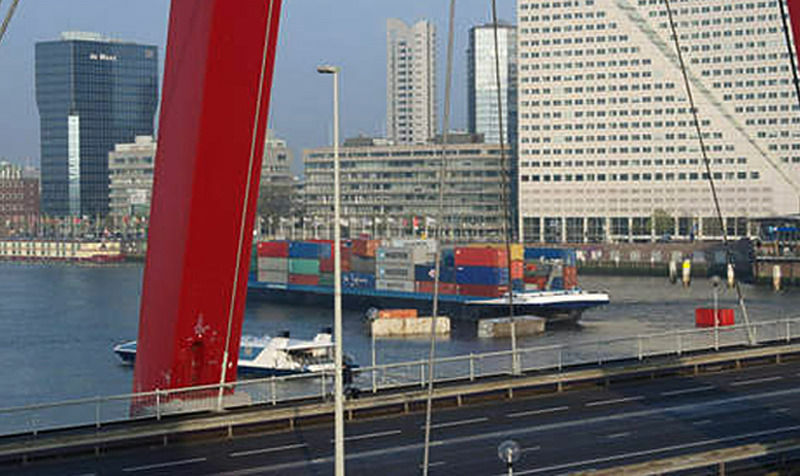 The bridge was closed to vehicle traffic while inspectors checked the bridge for damage. No reports of injuries, damage or pollution being released. Reports state the master of the Sensation misjudged the clearance as the direct cause of the allision. Authorities have started an investigation into the incident. 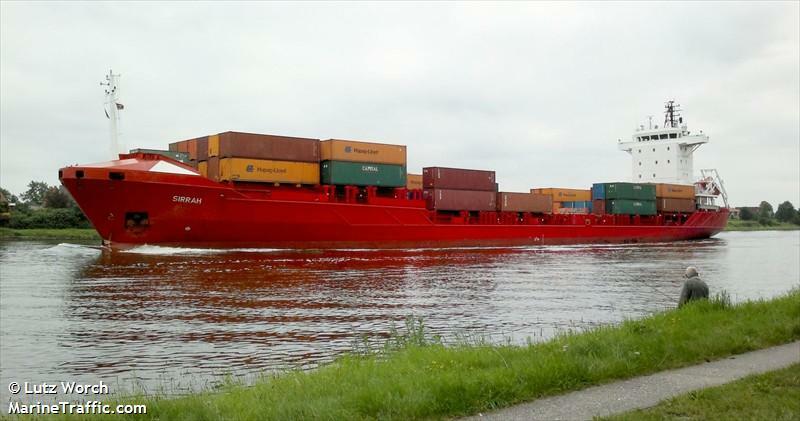 The 132 meter long, 8446 dwt container ship Sirrah allided with the tug Vorwarts on the Kiel Canal at Brunsbüttel, Germany. 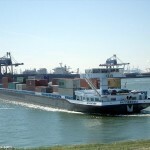 The Sirrah had just entered the canal from the lock when it suffered an engine failure allowing the vessel to go adrift. The crew attempted to do an emergency anchoring, but the Sirrah continued until it struck the moored Vorwarts. The tug’s hull was dented resulting with an auxiliary engine being torn from its mounts. No reports of injuries or pollution being released. 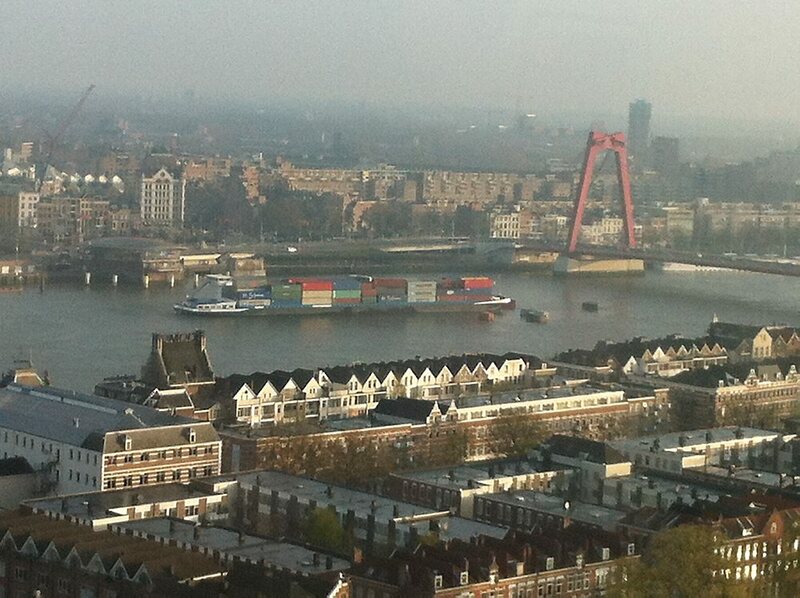 Tugs towed the Sirrah to a nearby quay. The water police is conducting an investigation into the incident. Reports state the engine failure on the Sirrah was due to a problem with the lubrication oil system. 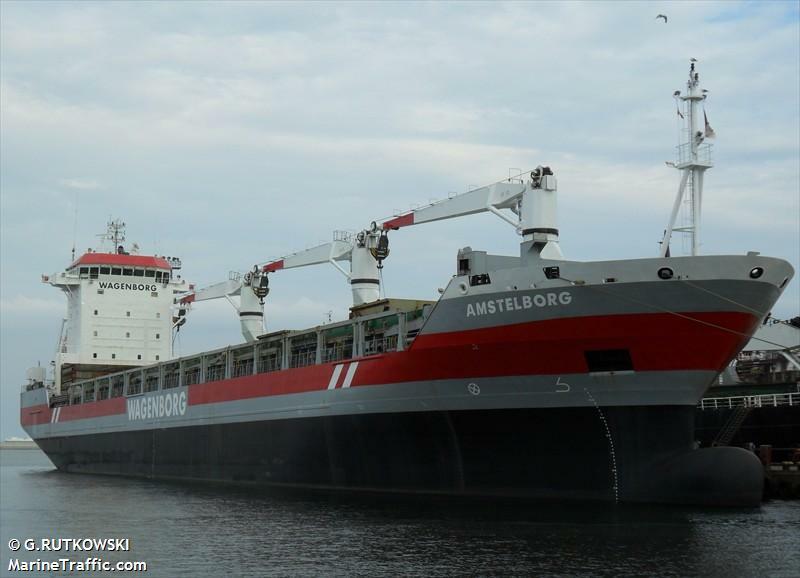 The 141 meter long, 17356 dwt freighter Amstelborg suffered hull damage while berthed at Gemlik, Turkey. 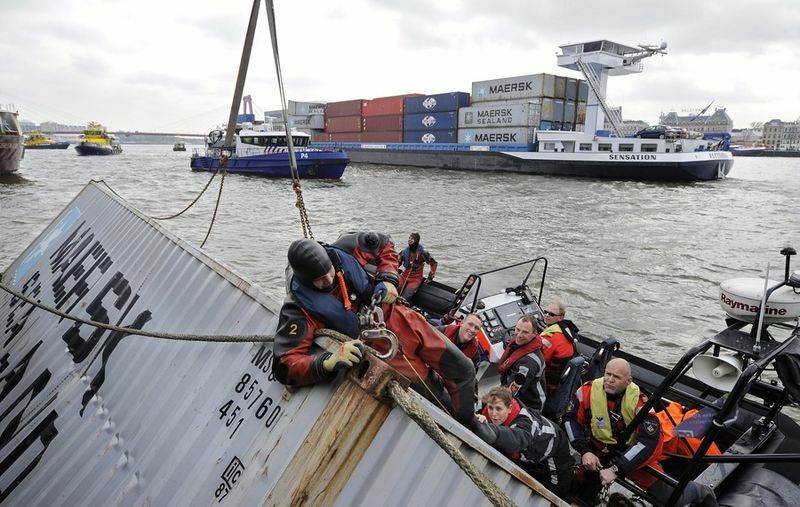 The vessel was pushed against the quay by a strong wind puncturing the Amstelborg’s fuel tank. 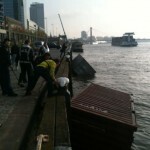 Reports state some 25 to 30 tons of fuel leaked into the water. 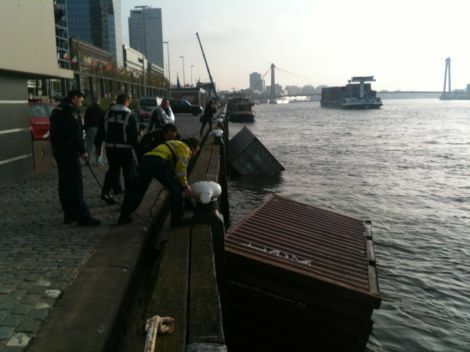 Authorities has started clean-up operations. No reports of injuires.